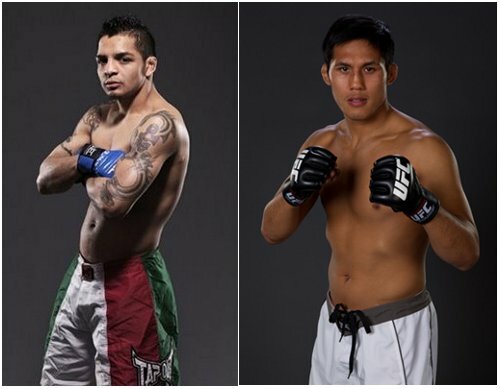 Nam Phan and Leonard Garcia will finally have their much-awaited rematch at next month's UFC 136 event. Nam Phan is now slated to face his fellow featherweight, Leonard Garcia, in a rematch following the controversial TUF 12 Finale fight. Phan was supposed to face Matt Grice at the upcoming event, replacing the injured Josh Grispi. However, Grice was forced to withdraw from the card due to an injury. UFC officials announced that verbal agreements have been set for the rematch. UFC 136 is scheduled on October 8 at the Toyota Center in Houston, Texas. The main card, which will be aired on pay-per-view, is highlighted by the lightweight championship bout between Frankie Edgar and Gray Maynard. There are also two fights booked for Spike TV’s “UFC Prelims” special, and five bouts to be aired on Facebook. Nam Phan (16-9 MMA, 0-2 UFC) refrained from a UFC release even after attaining two consecutive losses under the promotion. He participated at the “The Ultimate Fighter: Team GSP vs Team Koscheck Finale” card, wherein he lost the bout over Leonard Garcia through a controversial unanimous decision. Although he suffered from such controversy, Nam Phan was still awarded by UFC with the “Fight of the Night” honors. Following his misfortune, he also attained another unanimous decision loss to Mike Brown at UFC 133. On the other hand, Leonard Garcia (15-7-1 MMA, 2-3 UFC) is also in a must-win situation. After fighting under the UFC in 2007, he signed for WEC wherein he obtained a record of 4-4-1, including a WEC Featherweight title loss against Mike Brown. In 2010, he returned to UFC and defeated Nam Phan. However, on the following year, Leonard Garcia had his first twister submission in MMA career against Chan Sung Jung in the second round of the bout. Frankie Edgar-Gray Maynard Rematch on UFC 130?